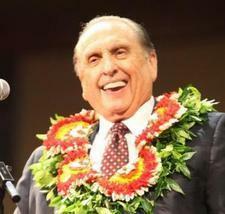 Watch: Presidents Eyring and Uchtdorf Speak of President Monson—"He Was a Great, Great Soul. I Loved Him"
In three short, touching videos, Sister Ann M. Dibb (President Monson's daughter), President Uchtdorf, and President Eyring share touching memories and impressions of our beloved prophet. Sister Dibb shares how she would accompany her mother when they picked President Monson up from the airport after his assignments, and how he would immediately jump in the car and start telling stories. "They were faith-promoting experiences," she says in the video. "Those stories have become a part of my testimony." Sister Dibb says that making memories with children and grandchildren was important to both her father and mother. President Uchtdorf tears up when he talks about President Monson and his wife, Francis. "I admire President Monson and his wife for their unity and love for each other and for the Lord," he says. "He was a member of the Church that everyone could relate to. And everyone could feel comfortable in his presence." President Eyring also gets misty-eyed as he talks about President's Monson's love for all people. "[He was] a great, great soul. I loved him," he says. He recalls how President Monson was the perfect prophet for a tumultuous world because he always made decisions based on principle, not circumstance, and accepted even the most disastrous news without reaction. "There were no tumults in him," he says with a chuckle.